Just a friendly reminder about the MMSMP colours of the month! 10% any Miss Mustard Seed products made in conjunction with a quart of one of the monthly featured colours! That's right, pick up a quart of one of the monthly featured colours, and receive 10% off ALL of the Miss Mustard Seed products in that purchase (including the quart of the featured colour)! Wowsa! This includes Miss Mustard Seed's Milk Paint in any size, MMS waxes, MMS hemp oil, MMS bonding agent, MMS wax pucks, MMS brushes . . .
Aprils colours of the month are: Dried Lavender & Lucketts Green! Follow our 'milk painted' board on Pinterest for more inspiration! I owe all of you an apology! Seriously. Miss Mustard Seed has celebrated colours of the month in her gorgeous milk paint line for as long as I can remember. . . and I have neglected to share them with you. For that I am sorry, and starting today I'm going to make it right! 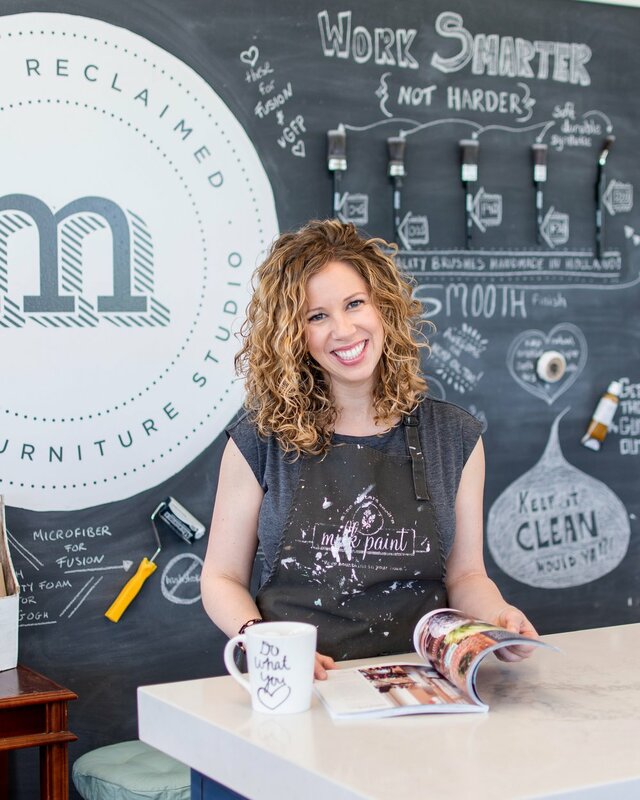 From this day forward we will celebrate the Miss Mustard Seed's Milk paint colours of the month with an honorary sale! Dried Lavender (above) is a soft, smokey purple with grey undertones. Lucketts Green (below) is a soft, spring green with yellow undertones. Stop by our studio this month to pick up one of these beautiful featured colours and take advantage of this great offer!